Aaron Delehanty is an artist and painter. His work is an exploration of the interaction between the natural world and mankind. 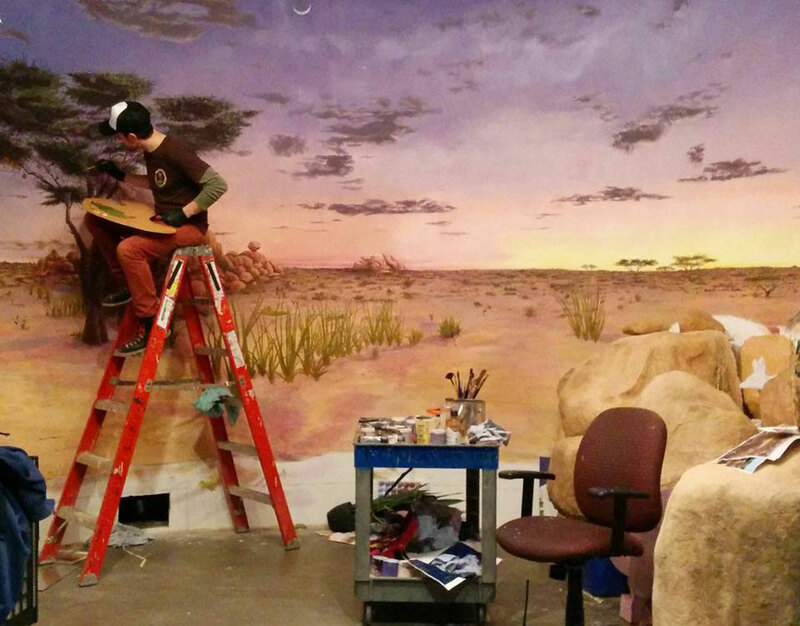 He is the staff artist at the Rochester Museum and Science Center in Rochester NY where he builds dioramas, makes hyper realistic replications of artifacts, paints murals and creates all kinds of convincingly realistic landforms for the museums exhibtis. You can see a lot of his work at the Field Museum in Chicago. Aaron is a co-founder of the Co-prosperity School, an artist-run school for and about the understanding of contemporary Chicago art. He has exhibited widely and his work has been featured in New American Paintings and TEDx Flour City. A graduate from the Masters program at the San Francisco Art Institute, and the bachelor's program at the School of the Art Institute of Chicago; he lives, works in Rochester NY.